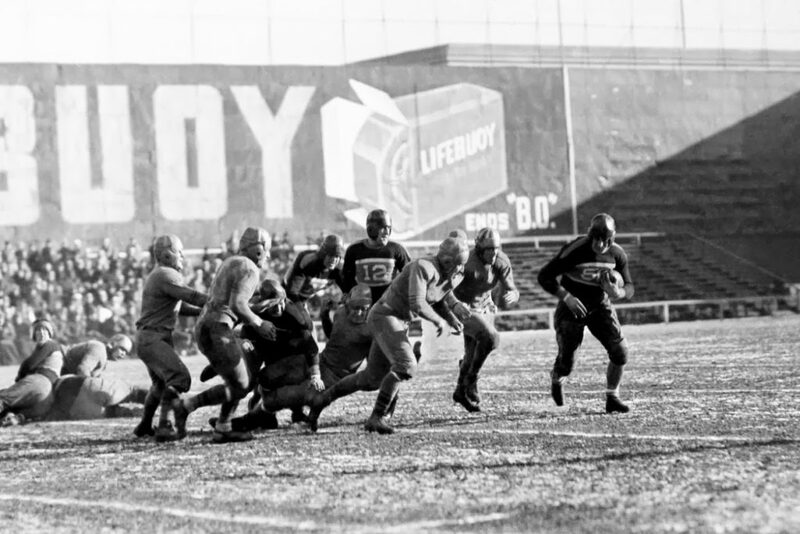 The NFL was in a struggle for survival as the manpower shortage created by World War II put a strain on the league’s primary resource, healthy young men. The War Manpower Commission had first dibs on able-bodied young men and it did not take long for the depletion to evoke improvisational counter measures. A player’s physical talent became a secondary characteristic; his availability to his team was paramount. Many of the players signed during this period of belt-tightening had been turned down by the armed services. Fullback Bill “Bazooka” Paschal was one such example. 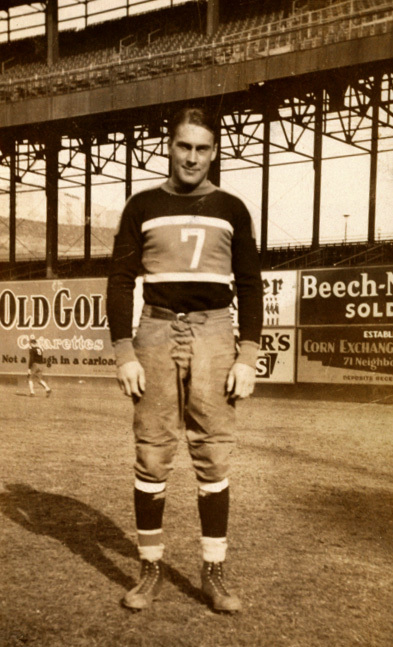 Scar tissue in his knee made him undesirable to the Army, but the New York Giants were happy to have him in for a tryout on the recommendation of Grantland Rice, who had seen him play at Georgia Tech. 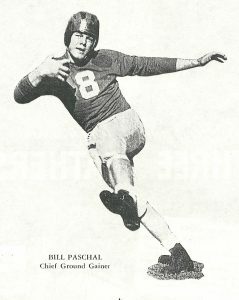 Paschal set New York’s single-game rushing record with 188 yards in his first season in 1943, and led the NFL in rushing yards in 1943 and ’44, the first man to do so in back-to-back seasons. He also led the NFL in rushing touchdowns both years. 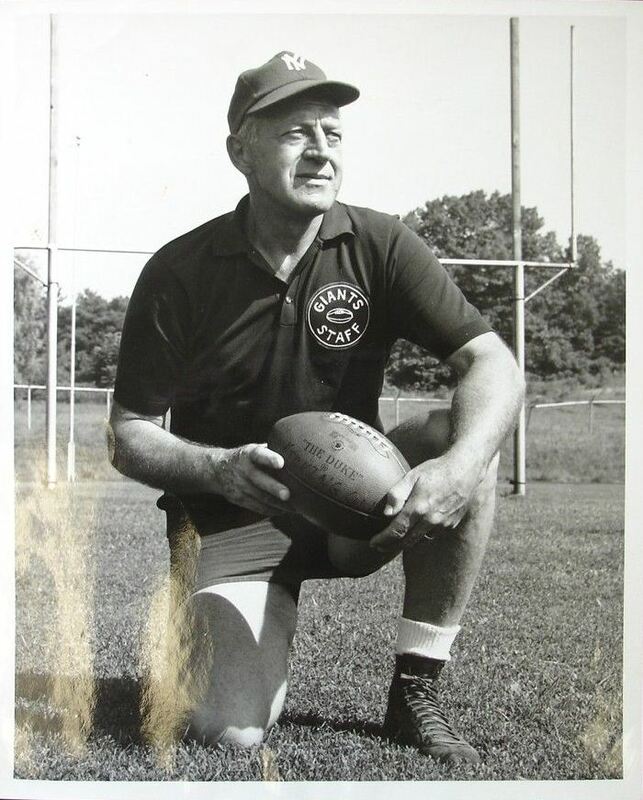 Sometimes healthy specimens made their way to the gridiron, as in the case of tackle Al Blozis. The Army believed his 6’5” 250 pound body was too large to be of use for them. 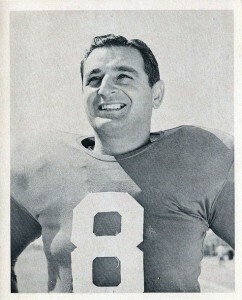 The Giants selected him in the fifth round of the 1942 Draft, and Blozis went to become a consensus All-Pro in 1943. 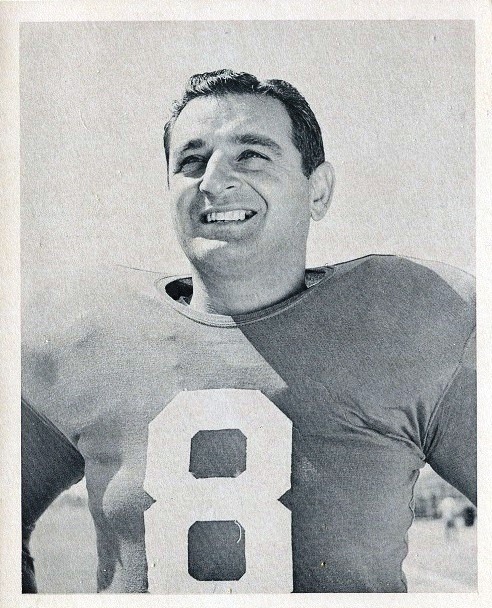 While Blozis usually draws acclaim for his defensive prowess, much of the success Paschal experienced running the ball came from following Blozis’ powerful blocks. Blozis even scored a 15-yard touchdown on a tackle-eligible play that year. Ultimately, Blozis followed his higher calling. After multiple attempts, he finally persuaded the Army to waive their size restrictions for him and Blozis was commissioned in 1944. During a furlough late in the season, he returned to play for the Giants while awaiting deployment. Blozis was killed by German fire in France in January 1945 while searching for members of his squad. By February 1943, 330 NFL players were in the armed forces. The Brooklyn Dodgers had just seven players return from their 1942 roster when they opened training camp. Among the contingencies enacted by the league to manage the manpower shortage were various forms of contraction. The Cleveland Rams suspended operations and the Pittsburgh Steelers and Philadelphia Eagles merged into the Pitt-Phil Steagles in 1943. Attempting to stay in the good graces of the Office of Defense Transportation, the league lowered roster limits from 33 to 28 (though some teams would choose to carry less), and the schedule was shortened from 11 games to 10. The Rams resumed operations in 1944, but the talent pool depletion worsened. Of the 330 prospects selected in the NFL Draft, only 12 appeared in a football uniform. 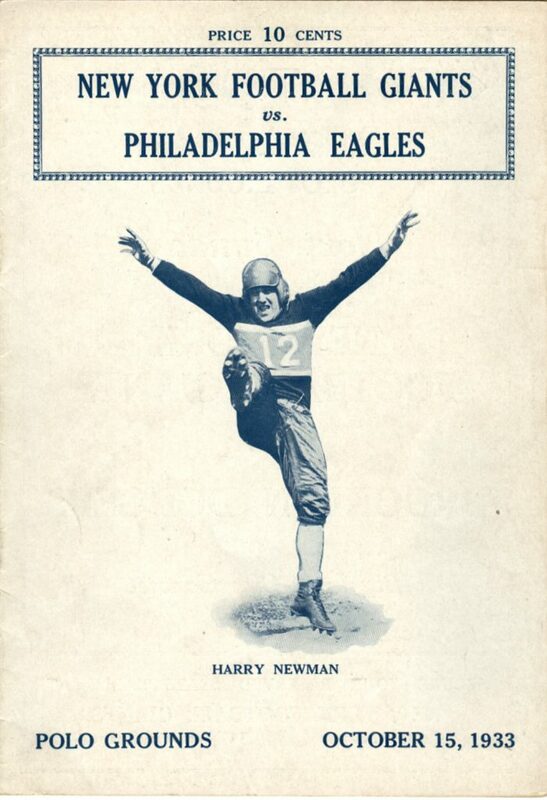 The Eagles re-emerged as an independent team and the Steelers merged with the Chicago Cardinals. They were officially known as The Card-Pitt Combine, but the 0-10 team was so dreadful they became tagged as the “Carpets” by fans. 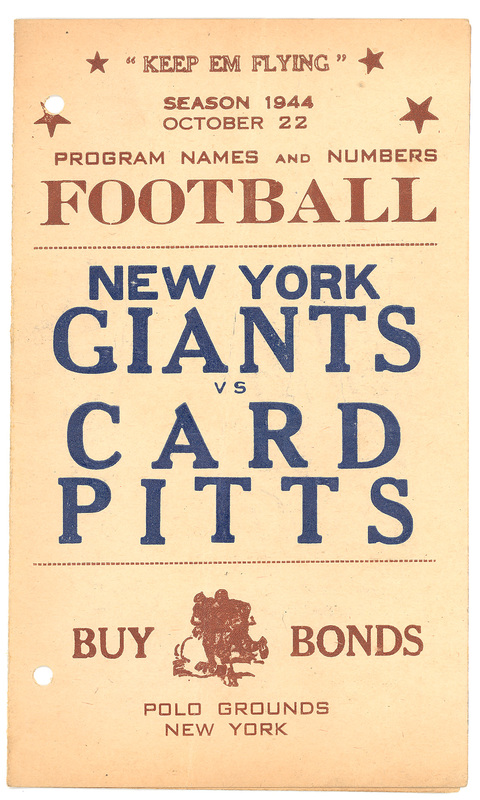 The Steelers and Cardinals resumed independently in 1945, but the Brooklyn Tigers (formerly the Dodgers) and Boston Yanks merged into one franchise without a city designation. They played four of their five home games in Boston and the other versus the Giants at Yankee Stadium. 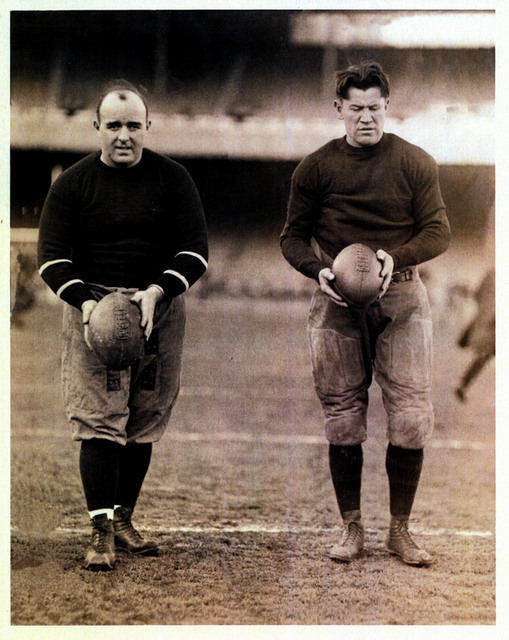 Instituting their own version of a recall, the NFL looked to some of its heroes from the 1930’s. 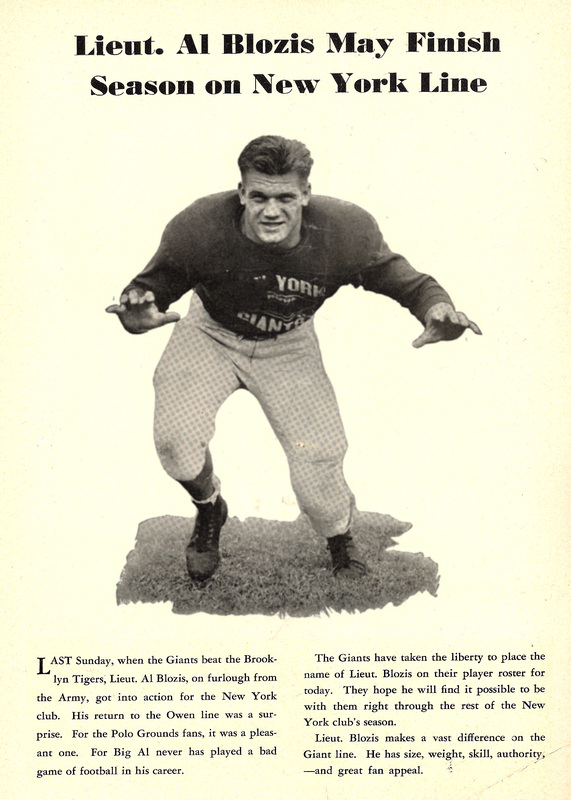 Mel Hein had told the Giants he was retiring after the 1942 season, but Head Coach Steve Owen was amenable to Hein’s request to miss practices during the week, being designated a “Sunday Center.” Hein would spend the next three years working at a Naval training program at Union College in Schenectady, NY for five days, and then riding the Amtrak to New York to meet his team. 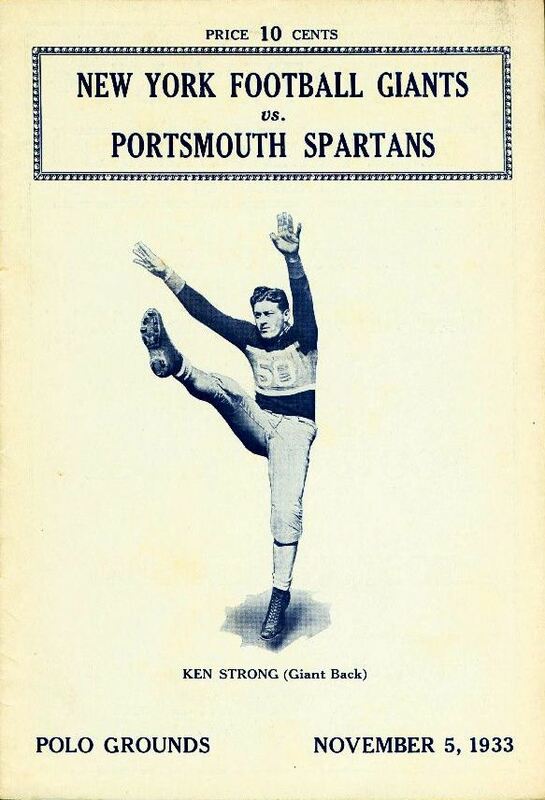 Ken Strong, who had not played since 1939, returned as a kicking specialist. His terms were that he not be required to wear a helmet or shoulder pads. 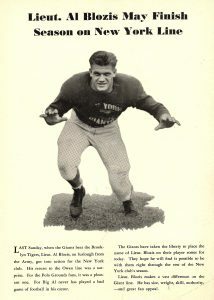 Arnie Herber, the former passing great from Green Bay who battled the Giants for the NFL title in 1938 and ’39, was wooed out of a three-year retirement by Owen, who sought to stabilize a roster that was otherwise mainly filled with first- and second-year players (including three who did not play college football.) 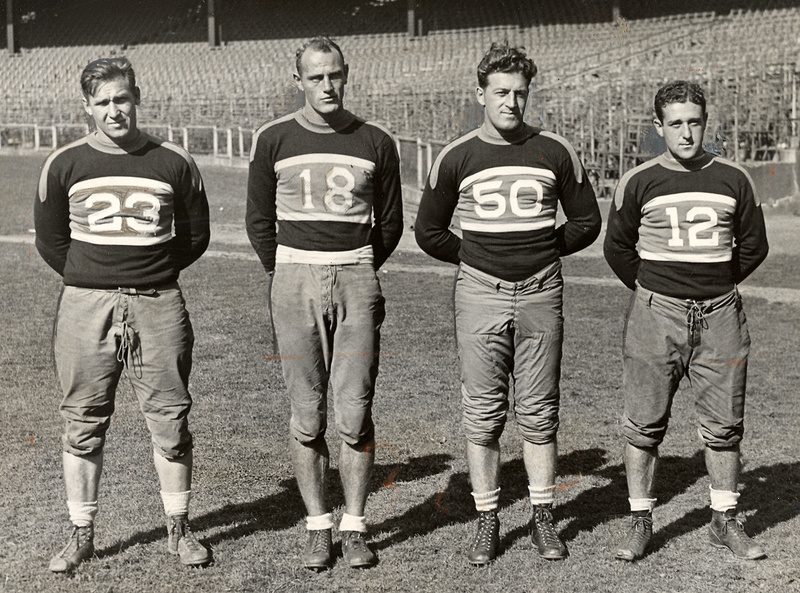 Only five players remained from the 1941 Eastern Division Championship team: Hein, wingback Ward Cuff, tackle Frank Cope, guard Len Younce and all-purpose back and defensive star Hank Soar. The veteran Soar was an Owen favorite who also had an arrangement where he worked at an Army camp in Pennsylvania during the week and arrived on game day. He would not finish the season, however, as his unit would be deployed overseas. Paschal had enlisted in the Maritime Service, but was granted a special dispensation for leave on game days. New York opened their 1944 regular season with an unremarkable win at Fenway Park against the Boston Yanks. The Giants offense was far from a well-oiled machine as the young, old and slightly-damaged parts had yet to fully integrate. Herber struggled as he was still playing himself into shape. He completed just one pass for 12 yards, was intercepted twice and fumbled once, the latter being returned for Boston’s only touchdown. The Giants defense was its formidable self and the special teams made clutch plays. The defense recorded a safety and Cope blocked a punt that was recovered for a touchdown by Victor Carroll. Strong made both his field goals in the 22-10 victory. 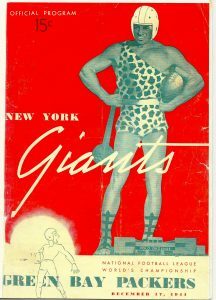 The Giants offense struggled even more the following week as they gained a paltry four first downs in front of 25,854 fans at Ebbets Field in Brooklyn against the re-christened Tigers. New York completed just six passes on the day, but two were for touchdowns from the arm of Soar. The second came in the fourth quarter and lifted the Giants to a 14-7 win. The Giants opened their home schedule the following Sunday before 40,734 faithful and treated the fans to a feel-good 23-0 win over The Card-Pitt Combine. The passing game improved and the running game was dominant. New York totaled 224 yards on the ground and Paschal rushed for three touchdowns. Cope blocked a punt through the end zone for a safety while the Giants defense recovered five fumbles. If the game felt somewhat like a scrimmage, it was because Card-Pitt was a recent convert to the T-Formation that was gradually gaining favor over the Single and Double Wing throughout the league. While Card-Pitt lacked the talent to run the T-Formation effectively, the next opponent on the schedule did. 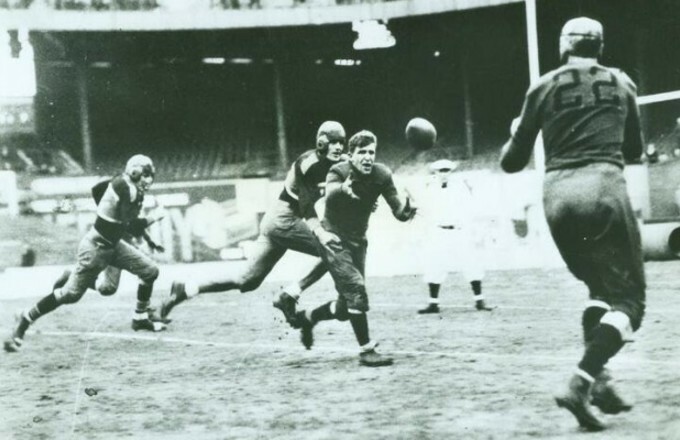 The 1940 NFL Championship Game was a seminal moment. George Halas’ Chicago Bears obliterated the Washington Redskins 73-0 with his new version of the T-Formation with wider line splits and a man-in-motion. 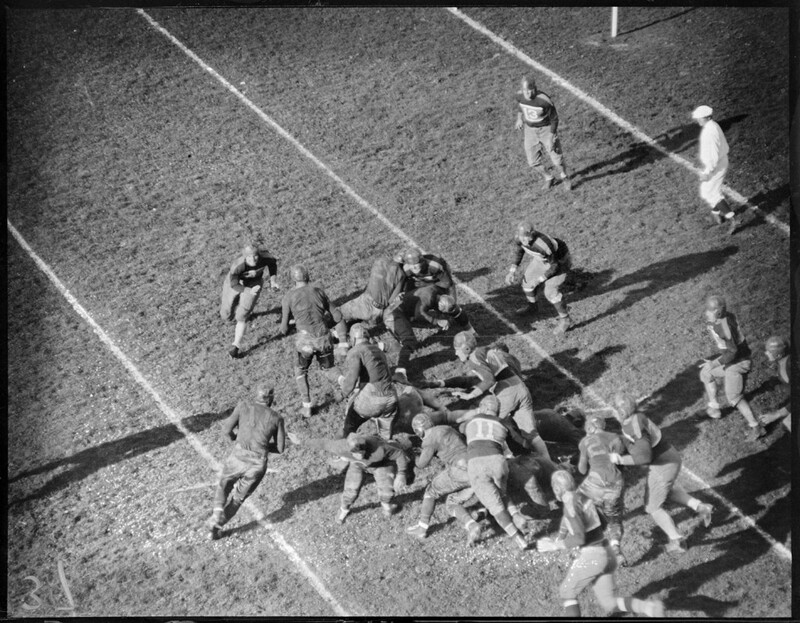 Just a few days later, the NCAA’s only T-Formation team, the Stanford Cardinal, headed by Halas associate Clark Shaughnessy, defeated Nebraska in the Rose Bowl 21-13. The Bears led the NFL in scoring from 1941-1943 after winning the 1940 title and coaches everywhere took notice as Halas proved the T-Formation was no fluke. 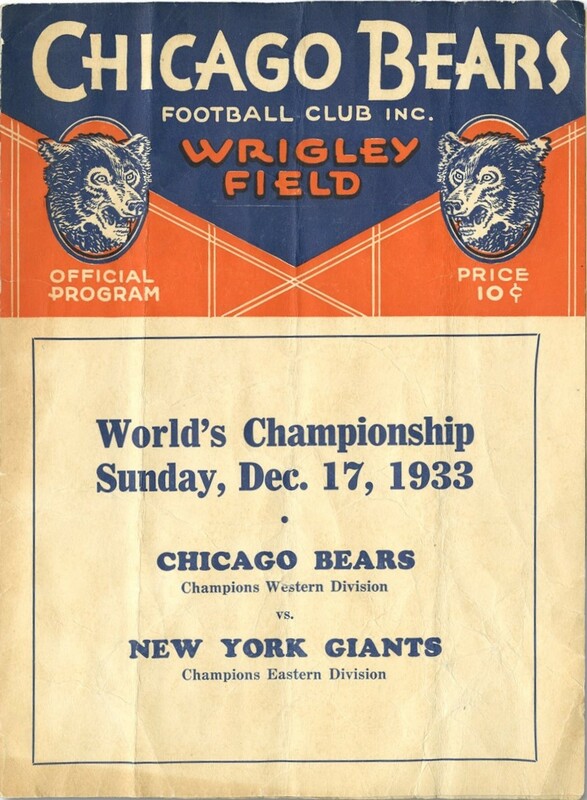 Chicago repeated as champions in 1941 when they defeated the Giants 31-9 in the title game, had an undefeated regular season in 1942, and made it three titles in four years in 1943 when they defeated Washington 41-21 in the NFL Championship Game. 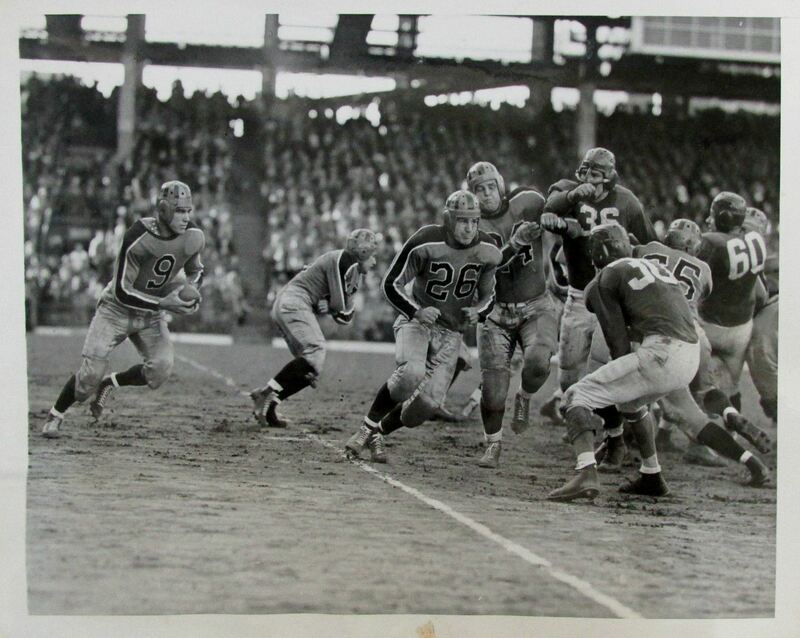 The first NFL team to jump on the T-Formation bandwagon was the Philadelphia Eagles in 1941. The results were not immediate for Earl “Greasy” Neal’s team, as colleges were slow to convert from the Single and Double Wings. But Neal was a believer in the new system and committed to it. The Eagles saw incremental improvement each season. The 1944 NFL Draft was a major coup for Philadelphia. The talented and relentless halfback Steve Van Buren from LSU vaulted Neal’s offensive attack straight to the top. The T-formation was still primarily a running offense, with two halfbacks and a fullback lined up behind the quarterback under center. Its success came from the balanced offensive line and the added deception provided by a skilled ball-handling quarterback. The Eagles would finish the season first in rushing yards and total points scored. Van Buren was fast, powerful and a team leader. He contributed 444 rushing yards and led the NFL in punt return yards his rookie season. Owen spent extra time preparing for the Eagles and their T-formation at practices that week. 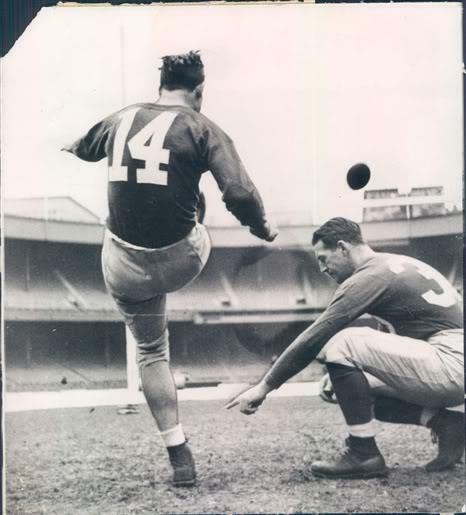 A major challenge for Owen was overcoming the unexpected absence of his best defensive halfback and leader, Hank Soar, who wired Owen the night before the game that his unit was being deployed overseas. 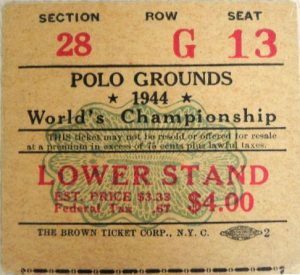 The 42,639 fans at the Polo Grounds watched Owen’s preparation pay off beautifully for the game’s first 25 minutes. After the Giants defense spotted Philadelphia a field goal, they stifled the Eagles’ attack. 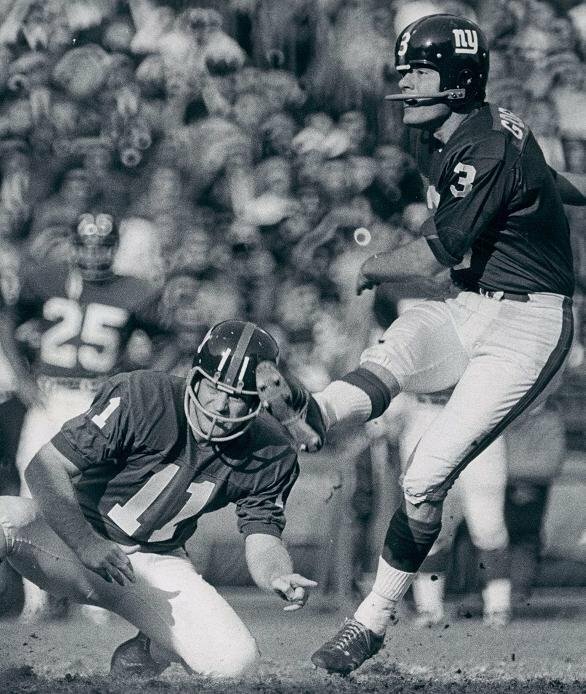 The Eagles fumbled the ensuing punt and Frank Liebel returned the loose ball for a 20-yard touchdown. This ignited a 17-point run for the Giants, who seemed to be getting by without defensive leader Soar. Paschal added a 68-yard touchdown himself and the Giants had a 17-3 lead with about five minutes left before halftime. However, Philadelphia quarterback Roy Zimmerman found a rhythm and engineered a drive that culminated with a 6-yard Van Buren rushing touchdown to trim the lead to 17-10 at the intermission. Throughout the second half, the Giants offense sputtered in fits and starts while the Eagles T-Formation engine purred, accumulated yards and moved the chains. Typical of many latter-day Giants-Eagles contests, Philadelphia found an uncommon way to score. Midway through the third quarter, the Eagles had the ball on the New York 22-yard line. Zimmerman connected with end Tom Miller on a 7-yard pass. As Miller was being tackled, he lateraled to the trailing Zimmerman who ran for pay dirt from the 15-yard line. Zimmerman then kicked the point-after to tie the game at 17-17. The Giants hung on through much of the fourth quarter, and seemed likely to escape with a tie after Zimmerman missed a 48-yard placement attempt. However, Van Buren intercepted a Howie Livingston pass at midfield and returned it to the New York 36-yard line. A handful of Van Buren rushes set up Zimmerman’s 1-yard quarterback sneak for a touchdown. The Giants did not quit, but they had more fight in them than luck. 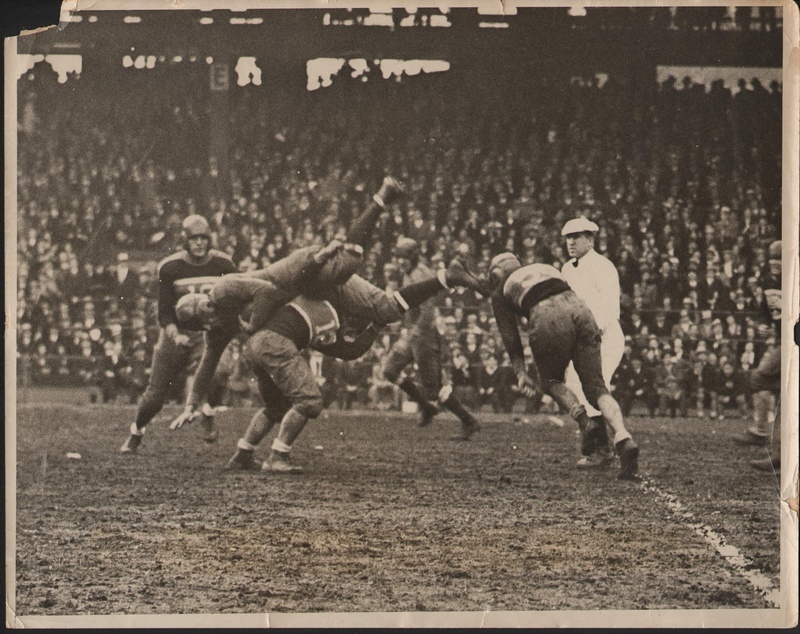 After New York’s desperate advance moved them into Philadelphia territory, the game came to a close with two Herber passes into the end zone. The first seemed like a sure touchdown to Liebel until it was defensed by Ernie Steele at the very last instant. The second was intercepted by Steele off of a tip by receiver O’Neal Adams as the clock expired. The 24-17 loss dropped the previously unbeaten Giants into third place at 3-1 behind Philadelphia and Washington. The Giants released their frustrations on the Boston Yanks the following week. The 28,634 fans at the Polo Grounds cheered on as Paschal led the way with 113 rushing yards in the 31-0 win. Owen and his team couldn’t afford to get complacent though; the next game scheduled was a trip to first-place Philadelphia. Shibe Park was a raucous, packed stadium with a record 33,248 enthusiastic fans, who reveled in the home team’s performance. Van Buren’s 97-yard first-quarter kickoff return touchdown triggered a 21-point run. The Eagles led the Giants 21-7 after three quarters. The comeback role was reversed in this re-match and Herber finally found the rhythm the Giants passing attack had lacked all season. The stunning rally began with just under 6:00 on the clock, and it occurred with the Giants best offensive threat, Bill Paschal, on the bench with a leg injury. The first score was a 22-yard Herber strike to Livingston, who caught the ball in the middle of the end zone while surrounded by three Philadelphia defenders. Strong’s placement trimmed the lead to 21-14. The New York defense held and Herber went back to work. 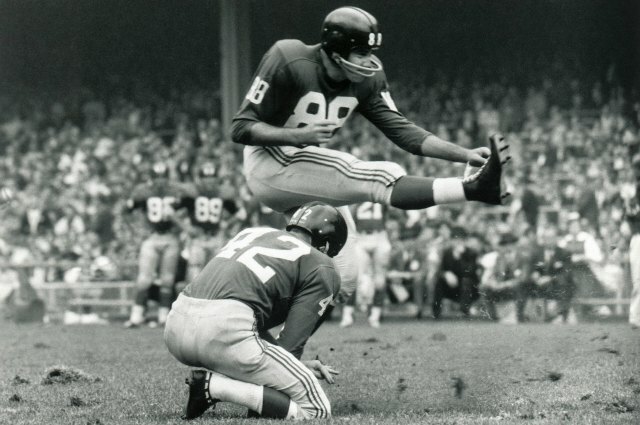 Another long-ball from the Giants 42-yard line was caught at the Eagles 24-yard line by Liebel, who outraced Steele – the hero from two-weeks earlier – to pay dirt. Strong’s placement was successful and deadlocked the score at 21-21. New York’s defense again held and the Giants got the ball back quickly. Herber advanced the Giants deep into Philadelphia territory with just seconds left. Strong was good on his field goal from the 43-yard line, but the field goal was waived off on a late flag for delay of game. The next attempt from 48 yards was blocked as time expired. Owen exploded. His first argument was that on the play before Strong’s initial attempt, it appeared that Herber had completed a pass to the 20-yard line after a catch-and-run. However, an official had ruled that the receiver had stepped out on the 35-yard line. Secondly, while Owen argued, the clock mistakenly continued to run. The Giants were forced to attempt the field goal without a huddle. Owen’s third grievance was that Philadelphia had put a soft ball in play before the second try that was blocked. Although the Giants did not get the win to move up in the standings, Owen at least had to be somewhat satisfied the Giants had avoided a seemingly imminent loss that would have crippled their championship chances. Plus, the passing game which had struggled most of the season finally showed signs of life. Herber was magnificent in the clutch as he completed 5-of-6 passes for 114 yards and two touchdowns. This was welcome news as the stretch run promised to be a grind. A season-high crowd of 56,481 jammed the Polo Grounds to watch the 4-1-1 Giants entertain the 7-1-0 Western Division-leading Packers. Most were surprised by the efficiency displayed by the Giants defense as they confounded Green Bay’s prolific offense in a 24-0 shutout. 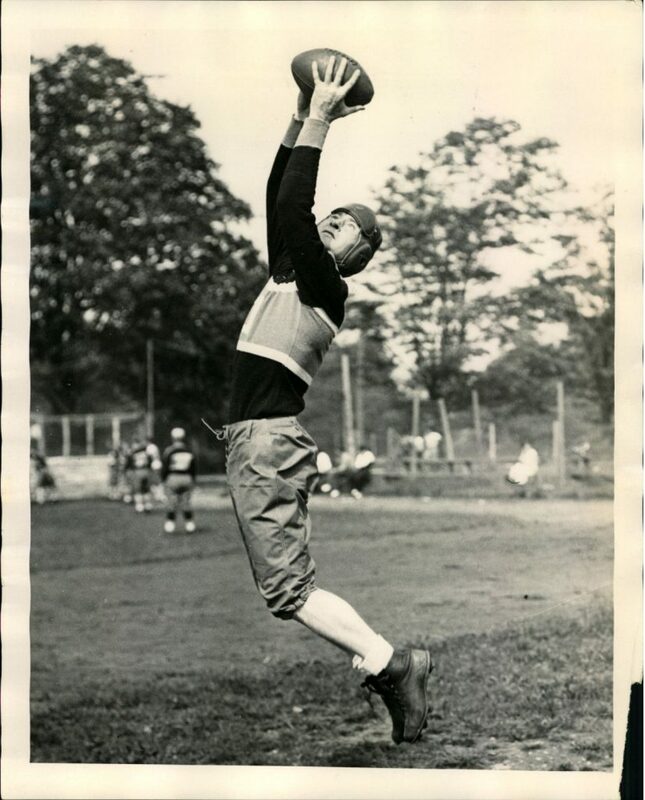 The primary star of the game was Livingston, who Owen challenged by locking him up one-on-one with the NFL’s premier pass catcher, Don Hutson. In past encounters, Owen employed zone configurations to contain the Packer passing attack. But on this occasion he followed a hunch to play man coverage. This handsomely paid off as Hutson was limited to four catches for 31 yards. Livingston also had the first of the Giants five interceptions on the day. The other star for New York was Younce, who plowed open holes for the Giants 221-yard rushing attack. Cuff led the way with 103. Younce also had an interception on defense. A leaner Blozis, whose weight of 242 was eight pounds lighter than the previous season, was just the boost Owen felt his team needed with back-to-back games against 6-1-1 Washington to close the regular season. Spirits were high in practice as the Giants had moved into a first-place tie with Philadelphia when the Eagles lost to the Bears. Owen acknowledged the Giants had no miracle fixes in store for their inconsistent offense. They spent the week at practice stressing fundamentals and fine tuning their rugged defense that had already shut out four opponents. The sensational Sammy Baugh split passing duties during 1944 as the Redskins made a mid-year switch from the Double Wing to T-Formation. Statistically, Baugh appeared to be off his game, but as always, he had the Redskins in contention by season’s end. He was backed up ably by Frank Filchock. Not only did the duo combine for the most passing yards in the league, they were most efficient in doing so. Washington’s 56.9 team completion percentage was well ahead of the second-place Bears (49.3). The Giants 37.6 completion percentage placed them in eighth place in the 10-team league. It was almost always a forgone conclusion that the Giants-Redskins games would decide the Eastern Division title. 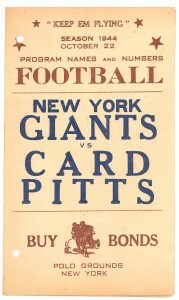 Since divisional play began in 1933, New York won the Eastern Division six times and Washington five times. 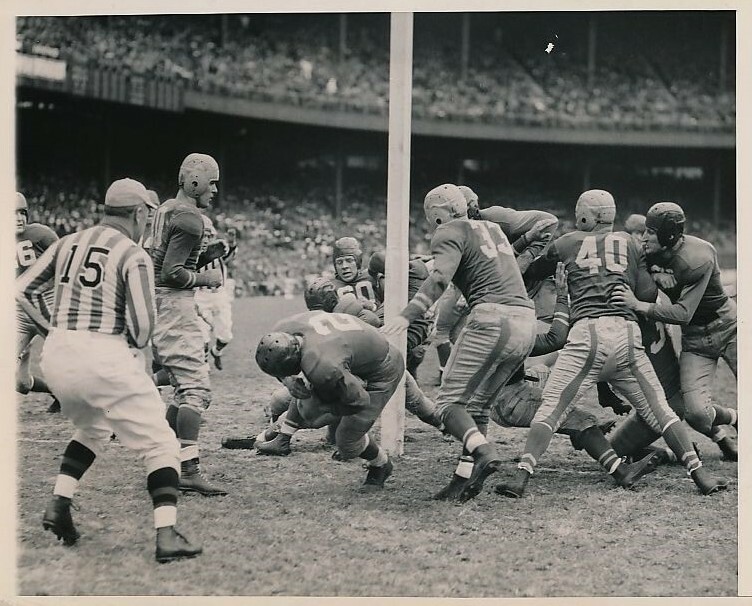 The 1943 regular season culminated in the rivals engaging in a playoff. The Giants had chased the Redskins all season and eventually caught them at 6-3-1 after winning the two head-to-head games in the final weeks. 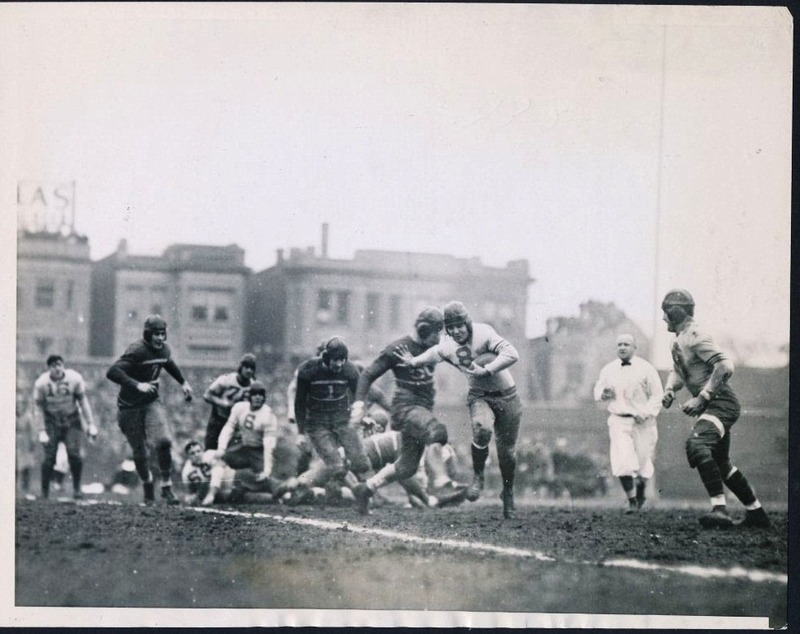 The chase apparently drained New York however, as Washington trounced the Giants 28-0 in the Polo Grounds. 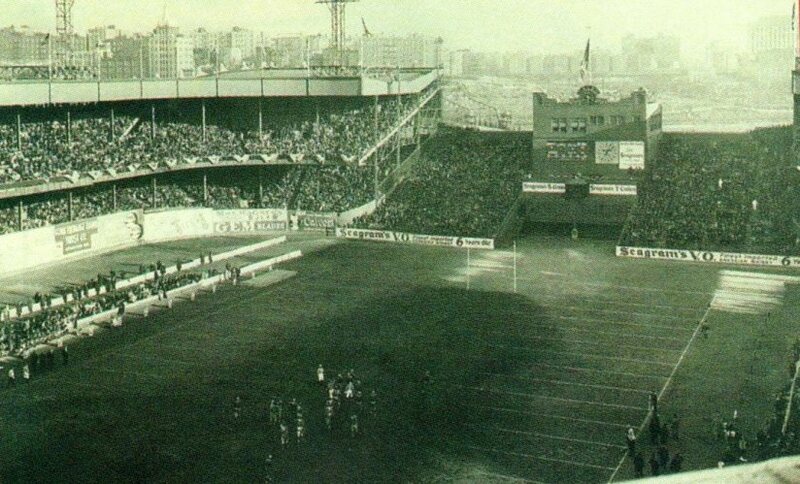 The Polo Grounds crowd of 47,457 braved intense cold, ready for revenge. Baugh went most of the way for Washington and had the visitors ahead 13-10 with 5:00 left in the fourth quarter. But Livingston intercepted Baugh and returned the ball to the Washington 35-yard line. Herber once again was strong in the clutch. He completed two passes before Cuff’s 21-yard reverse set up Paschal’s 2-yard touchdown plunge with approximately 3:30 left. However, the Giants did not make the critical point-after. Baugh, who finished 25-of-35 for 273 yards on the day, fearlessly led the Redskins down the field. Joe Aguirre kicked a 36-yard field goal to tie the game, but that kick was nullified by a holding penalty. The subsequent 52-yard attempt (holding was a 15-yard penalty at the time) fell well short. The Giants won 16-13. Philadelphia defeated Brooklyn and moved up to second place at 6-1-2, while Washington dropped to third at 6-2-1. Nevertheless, the Eastern Division title was still up for grabs. If 7-1-1 New York won the finale at Washington, the Giants would win the Eastern Division title. If Washington won, they would be tied with the Giants at 7-2-1, making the Philadelphia-Cleveland game critical. If the Eagles won, they would take the Eastern crown. If Philadelphia lost, for the second consecutive year, a playoff between New York and Washington would decide who advanced to the NFL Championship Game. In the event of a Philadelphia victory and a tie between Washington and New York, the Giants would play the Eagles in a playoff. Unfortunately, New York would be without Blozis, who was called away for military duty. The capacity crowd of 35,540 at Griffith Stadium was silenced early. Baugh fumbled on the first two possessions and the Giants capitalized both times. The first was a 25-yard Herber-to-Cuff touchdown connection less than four minutes into the contest. Then Herber connected with Liebel from 11 yards out for a second touchdown. Owen’s defense quashed any hopes of Baugh leading his Redskins in a comeback. Filchock relieved Baugh in a desperate attempt to spark a reversal of momentum, but the results were the same. In all, New York intercepted six passes on the day, en route to their fifth shutout of the season. The enthusiasm of the 31-0 victory was dampened after the game when the Giants learned that league-leading rusher Bill Paschal had severely sprained his ankle in the second quarter and his availability for the NFL Championship Game was in doubt. Worry increased during the week as Paschal tested the ankle several times during the practice but was unable to go full speed. Rookie Len Calligaro took Paschal’s reps in practice and Owen had the team focus on sharpening the passing game that had shown improvement over the latter course of the season. The good news for the Giants was Blozis was on a short leave and available to play. The Packers on the other hand were healthy and rested, not having played a game in three weeks. 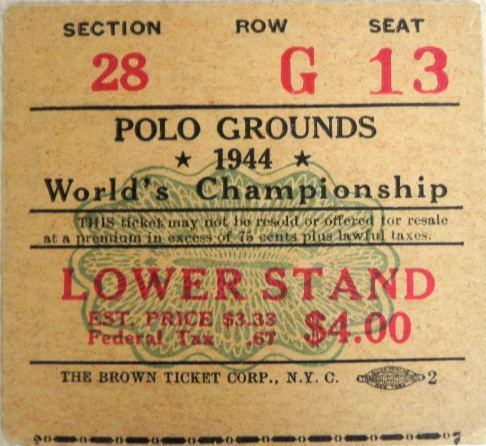 An NFL Championship Game record 46,016 fans nearly filled the Polo Grounds on a crisp but not unpleasant afternoon. Commissioner Elmer Layden declared before the game that if the score was tied after 60 minutes, there would be no overtime period. Green Bay and New York would be declared co-champions. Owen devised a new scheme to deal with Packer receiver extraordinaire Don Hutson, who had led the NFL in catches and yards for the fourth consecutive season, and who was tied with Paschal for the league-lead in touchdowns with nine. (Hutson’s were all receiving, Paschal’s all rushing.) The Giants deployed a five-man line. But when a pass play was read, Younce would drop back from his middle guard position and assist in covering Hutson. This strategy worked through the scoreless first quarter while both teams repeatedly exchanged punts. The bad news for the Giants was Calligaro severely injured his shoulder making a tackle on the first play of the game and did not return. Meanwhile, Packers coach Curly Lambeau countered New York’s defensive strategy by sending halfback Ted Fritsch or fullback Joe Laws, who’d had just one carry all year, into Younce’s vacated position in the middle. Fritsch began a long drive with a 21 yard ramble from the Green Bay 25-yard line. Laws followed several plays later with a 15-yard rush to the Giants 27-yard line. On the next play, Fritsch crashed through right tackle to the 1-yard line. New York’s forward wall tightened up for a goal-line stand. Two rushes by Fritsch each lost a yard, and Laws advanced back to original line of scrimmage on third down. Lambeau went for it on fourth down. Fritsch took the ball, found a crease behind Charles “Buckets” Goldenberg and went over for the score. Hutson was good on the point-after and Green Bay led 7-0. The Giants offense struggled badly. With Calligaro out, Owen was forced to put the injured Paschal on the field as little more than a decoy. Making matters worse, the passing game was out of sync. New York punted every time they had the ball, netting a paltry 24 yards in the first half with no first downs. Green Bay began their final possession of the second quarter on their own 38-yard line. On third-and-three, Hutson shook free from coverage and hauled in a 24-yard pass from tailback Irv Comp to the New York 30-yard line. On third-and-eight, the Giants obsessive focus on Hutson would prove costly. As Comp received the snap, Hutson crossed the New York secondary from his left end position, drawing multiple defenders with him. Noticing this, Fritsch alertly released to the vacated left flat. Comp pump faked right to Hutson, and then lobbed the ball to Fritsch at the 11-yard line where he jogged into the end zone untouched with just over one minute on the clock. Hutson’s point-after was good and the Packers had a seemingly-comfortable 14-0 halftime lead. The Giants returned to the field in the third quarter with a new urgency. Paschal gave it one more try on the first possession before his ankle gave out and he returned to the bench for good. New York engineered two first downs despite his absence and advanced to midfield before punting. The defense held and the Giants moved from their own 14-yard line to the Green Bay 42 on four plays, including two completions by Herber and one by Cuff. But Laws halted the drive with an interception. Livingston got the ball right back for the Giants with a pass theft of his own on the New York 45-yard line. Herber kept to the air as New York capitalized on the good field position. Following a pass interference penalty on the Green Bay 42-yard line, Herber launched a deep pass to Liebel, who was initially covered by Comp before the defender lost his footing. Liebel made the catch and was pushed out of bounds on the 1-yard line as the third quarter expired. Cuff finished the drive on the first play of the final quarter. Strong’s point-after was good. The Giants were within one score of at least a share of the NFL title at 14-7. From this point both teams played the clock. The Packers kept the ball on the ground while Herber valiantly fought for the tying score with his arm. Both defenses held strong for most of the period. 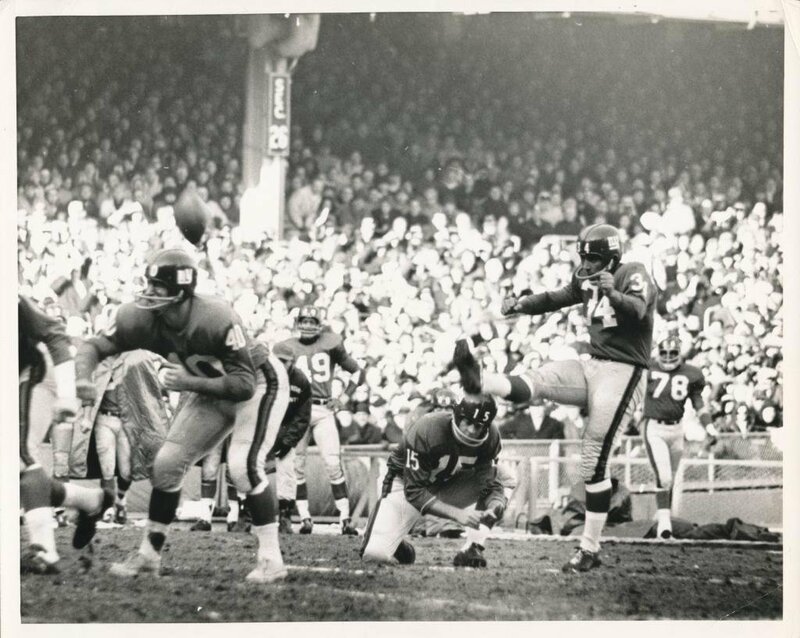 Herber led the Giants on one final drive into Packer territory but was intercepted inside the 20-yard line by Paul Duhart with less than five minutes to play. This essentially settled the outcome and preserved the title solely for Green Bay. 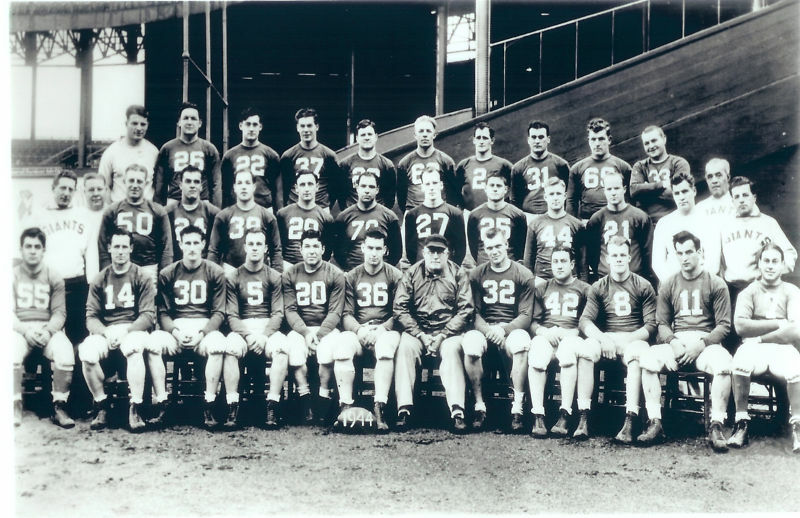 Looking back on the season as a whole, the 1944 New York Giants performance was historically great for the defense. Over the 10-game regular season, New York surrendered only 75 points. The 7.5 points-per-game average was well below the league average of 18.0. The next closest team from the start of the T-Formation era in 1940 was the unbeaten 1942 Chicago Bears who allowed 7.64 points per game (84 points over 11 games). The Giants defense surrendered only eight touchdowns during the regular season: five rushing and three passing. They were third in total yards surrendered, second in yards-per-play at 3.6 (Philadelphia was first with 3.5), first in rushing yards allowed, and first in take-aways with 45. Paschal and Younce were recognized with All-Pro status for their individual contributions. The Giants legacy entering their 90th season of play in 2014 includes the most post-season appearances of any franchise with 31. When the NFL was aligned in its two division format from 1933 through 1966, New York won the Eastern Division/Conference 13 times, more than any other team. Their record in the NFL Championship Game was three wins against 10 losses. Those teams that fell just short of the title are woven into the fabric of New York history and are part of the standard to which today’s New York Giants teams are held.